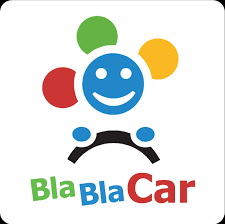 BlaBlaCar has emerged as the world’s largest long distance ride sharing community. It connects car owners and travelers from over 700 cities in the world. Flat Commission Fee – The startup charges a commission fee once it is able to reach a critical mass in a country. For example, in France, the startup takes a flat commission of 10-15% of the trip cost. In countries like India where the model is still new, it does not charge any fee. Before the startup deployed an online booking system, it used to earn revenue through advertising and through partnerships with companies to offer ride sharing platforms. Market Size – Intra-city car sharing is a big market due to its recurring nature. Inter-city car pooling seems to be a smaller market. Booking commissions are the biggest revenue models in a small market. However, owing to the nature and size of the market, additional revenue models like advertising and partnerships with companies, which the startup was using earlier, should also be looked at.